One of the standout cars from today's Autofest event in South Australia was this sleek Torana drag car. It's owner, Brett Henley, is a qualified sheet metal worker who built the car from the ground up over a two year period. It's not common to see drag cars in the show and shine halls, but a close look at this LC Torana reveals its flawless build. The motor is from an ex sprint car. It's a 372 cubic inch Chevy producing 745hp. 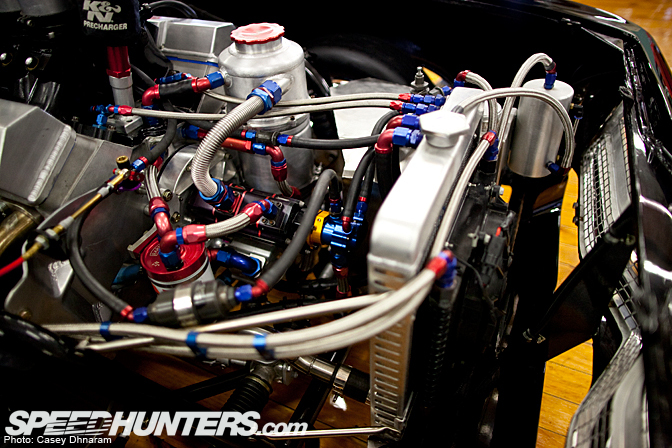 The motor runs on methanol using an old school mechanical injection setup. The front-end is one-piece fiberglass that is removable. Note the factory steel bumper has been retained, which is a nice touch. 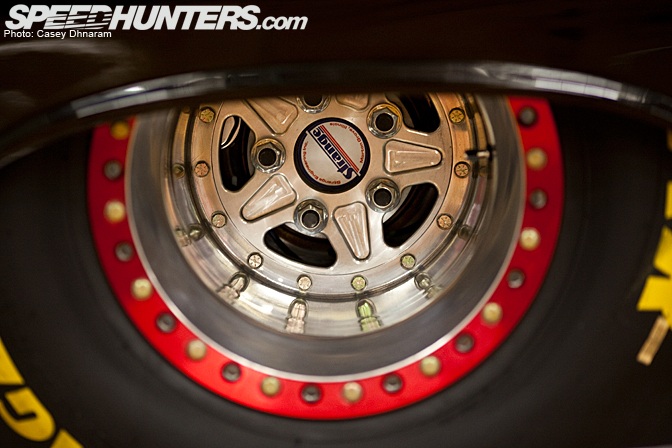 The 15×14-inch rear wheels use a bead lock system to hold the Goodyear 31×14-nch drag slicks. The Power Glide 5500 stall 'box runs down the center of the interior. Notice the scatter shield to protect the driver. Although the Torana has obviously been stripped, owner Brett hasn't sacrificed its presentation. Everything is done neatly and logically. 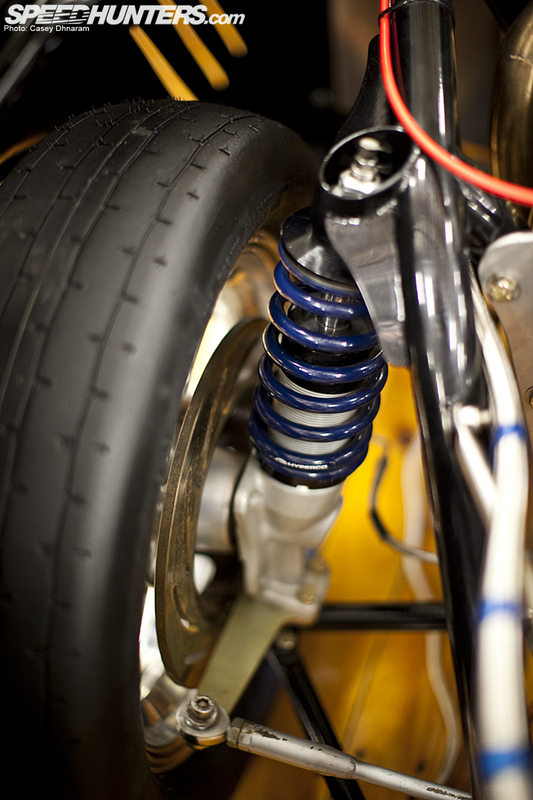 To fit the 31×14" Goodyear drag slicks the rear of the Torana features large alloy tubs, that have been hand rolled. 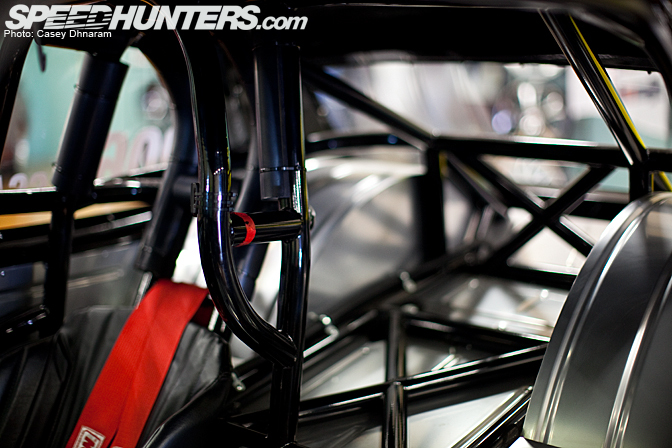 The Torana also features a full chromoly funny car roll cage. Strange Engineering supply both the front and rear coil overs. 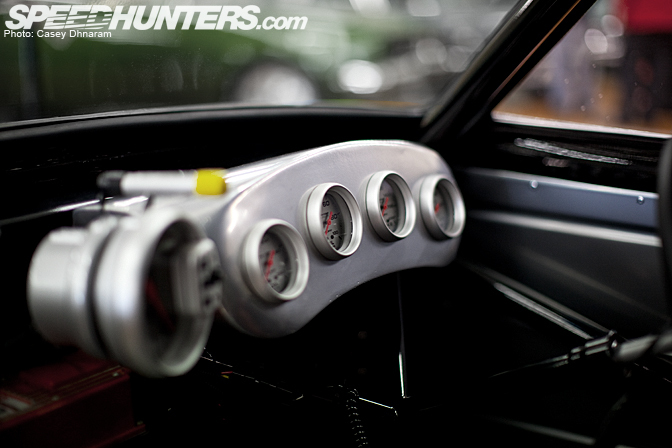 Over the 1/8th mile, the Torana's PB is 5.50 @ 123mph. 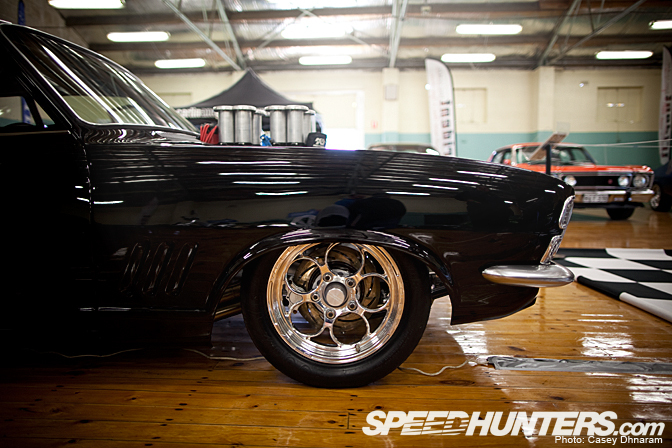 Toranas are such an iconic car in Australia, and it's rare to see such a pristine example used for drag racing. Brett Henley has certainly done an awesome job of mixing drag racing with such immaculate presentation. 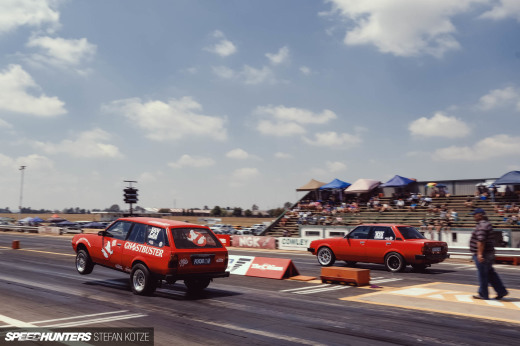 Torana's rare in drag racing over here? What rock have you been under! Nice photos though. This car is awesome! The best Torrie Ive ever seen. 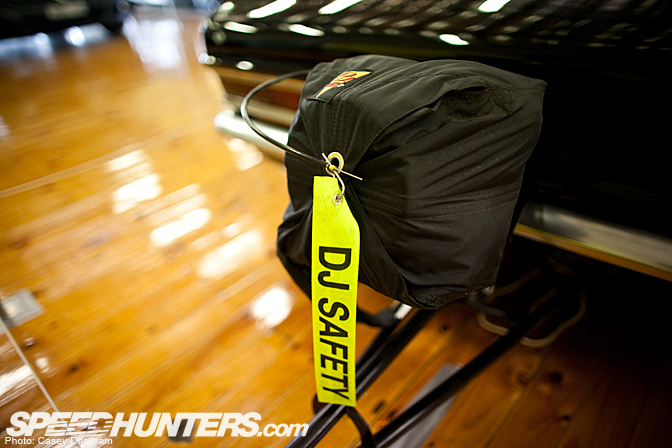 OMG BEST EVER FEATURE ON SPEEDHUNTERS!! 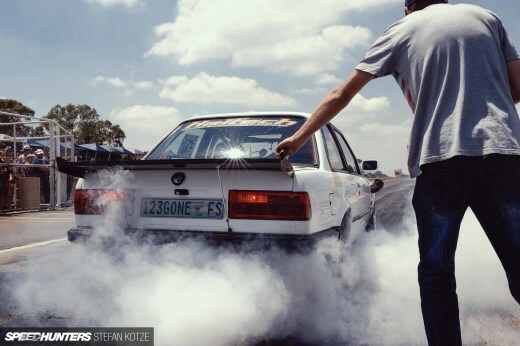 TAKE THAT DRIFTING PRETTY BOYS!! Those are strange axles, not wheels. I'm pretty sure Strange doesn't make wheels. Also, are you sure the front bumper is steel? It just has a semi-gloss/satin finish that looks like painted fiberglass. That A9X in the background is gorgeous, I saw it there last year and it is absolutely breathtaking. Strange does not make wheels ! Strange makes axle. Very nice!! now if only there was somewhere decent to race it in SA! Those are strange axles, not strange wheels. And the "original steel" front bumper is just fiberglass painted. never even seen or heard on on these cars before.. i looks the part in drag form - this one is surprisingly detailed, it look like a show car.. fantastic.